Chennai showed the steepest decline of 13 per cent in sales, followed by Kolkata at 8 per cent, compared to the previous June quarter. 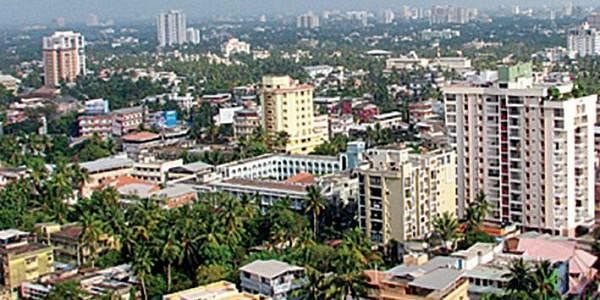 MUMBAI: Poor residential property sales and stagnant prices marked the real estate scenario across the country for the September quarter. Chennai showed the steepest decline of 13 per cent in sales, followed by Kolkata at 8 per cent, compared to the previous June quarter. The quarterly survey for the July-September 2017 period by property tracking agency Liases Foras of eight metros showed that housing prices rose marginally or remained stagnant. However, Chennai was the only metro that showed a fall in prices of one per cent from the previous quarter. “Weighted average prices across other cites either witnessed no change or increased marginally by one percent. Dismal sales across cities have put pressure on price behaviour, resulting in a marginal increase,” said Pankaj Kapoor, who heads Liases Foras. Unit sales for the quarter decreased marginally and hovered around 64,000 units for the eight cities, with Hyderabad in the lead with an 11 per cent rise in sales. The Mumbai Metropolitan Region (MMR) sold over 16,000 units to record a maximum share in overall sales of 24 per cent. The flavour of the season was clearly ‘affordable’ homes, with 11 per cent growth in the sales of homes in the category below `25 lakh. MMR contributed the most with 28 per cent in the affordable housing segment with about 3,400 units, followed by Ahmedabad at 24 per cent with 2,900 units. The affordable segment contributed 19 per cent of the overall sales as compared to 17 per cent in the previous quarter.